Nicereply is a survey software that enables its users to collect market feedback and gather responses for research. It uses measurement tools, such as Customer Satisfaction (CSAT), Net Promoter Score (NPS), and Customer Effort Score, to simplify data, generate reports, and track key performance indices. In this article, we cover user reviews and pricing. Ready to try Nicereply? Get a free trial. Users who gave Nicereply a positive review like that the interface is easy to use, even with the many features it offers. Some mentioned that it helps their organizations have a better understanding of their customers. One user who gave Nicereply a positive review on GetApp said that it was convenient for her team to collect responses from customers because the surveys were easy to fill out, adding that her staff had little to no difficulty building the surveys because of the customizable templates. Users who gave Nicereply a negative review said that there’s nothing major they dislike about the software because it is very efficient. However, some of them wish that it has an “Are you sure?” pop-up whenever a respondent mistakenly clicks on a bad face in the survey. One user who left a review of Nicereply on G2 Crowd explained that while it is easy to use and understand, some respondents still make mistakes when answering surveys and feedback forms. She recommended that the software apply error-proofing pop-ups to prevent this issue. Other than that, she said that she does not have any complaint with Nicereply and that it works well for her company. Nicereply offers four monthly subscription plans: Mini ($49), Start ($99), Grow ($199), and Business ($299). A 20% discount is given to those who pay annually. The main differences between the plans include the number of responses per month and the number of user accounts. For those who require more than 2,500 responses per month, you may contact their sales team for Enterprise or custom priced packages. 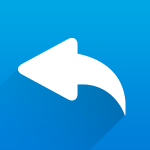 Ready to try out Nicereply? Get a free trial. How long does Nicereply’s free trial last? There is a 14-day free trial for all their plans. After this period, users will be asked to upgrade to a paid subscription. Otherwise, the account will expire. Does Nicereply have a limit to the amount of data that can be collected? Yes. While the app allows users to create an unlimited number of surveys with any of the paid plans, the number of responses that you receive depends on your subscription. Not sure if Nicereply is the right fit for you? Read our reviews of all top survey software providers or check out one of these three Nicereply competitors. If you are looking for a simple & easy-to-use solution to measure your CSAT and CES, Nicereply will be probably the best tool for you. We integrated it into our CMS, so getting reviewed is so easy for now. I also appreciate the possibility of modifying your design of smiles. We miss from the beginning a standalone mobile application, which can be more effective to check out your scores and feedbacks, than always login to nicereply.com. Push notifications about new reviews could be very nice feature. We are so satisfied, we knew everything before we started to use their solution. In case of issues, they are ready to help us immediately. Nicereply provides an easy to use customer satisfaction and customer effort survey that integrates easily with Zendesk or may be added to your email signature. The reporting is excellent. The rating scales are easy to understand and visual in nature. Overall, the solution works extremely well for our company. If you’re looking for a full-blown survey solution, try something else, like Survey Monkey. Nicereply is very much a niche solution for quick, engaging, and easy to use customer satisfaction or customer effort scores. We haven’t started using the customer effort metric yet, but if I had understood the value of that measurement prior to implementation, I may have switched us over to it. It’s not the best when it comes to customizability, I had to customize the HTML manually, but I was thankful that was possible at all! Nicereply makes it easy for the customer to leave reviews & makes it easy for the company to have a better idea of how each rep is doing and where they need help. Honestly, my only complaint has been addressed in previous Nicereply updates! It connects easily to our Zendesk application, making setup a breeze! The Nicereply team has always been available to resolve issues and initial setup questions.